Ships today if you order in the next 2 hours 36 minutes. The best way to get your body to absorb vitamin D is to get healthy exposure to sunlight. Even the healthiest diets are lacking in this crucial nutrient. So when the sun is scarce, or you're stuck indoors, supplementation might be the best way for you to get the Vitamin D you need for optimal health. 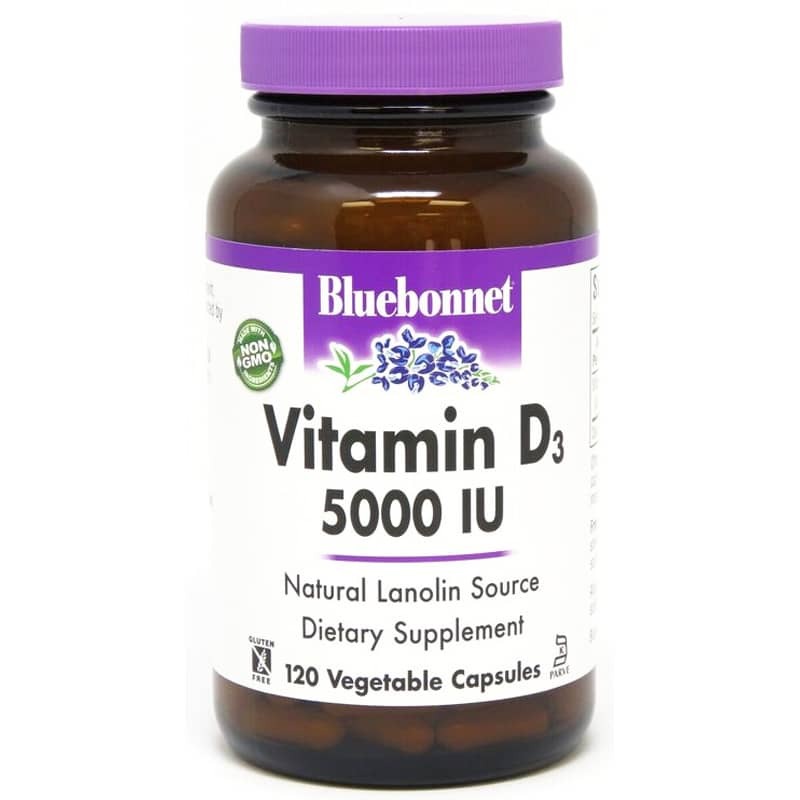 Bluebonnet offers Vitamin D3 5000 IU as a way to get vitamin D3 or cholecalciferol from a natural, lanolin source. 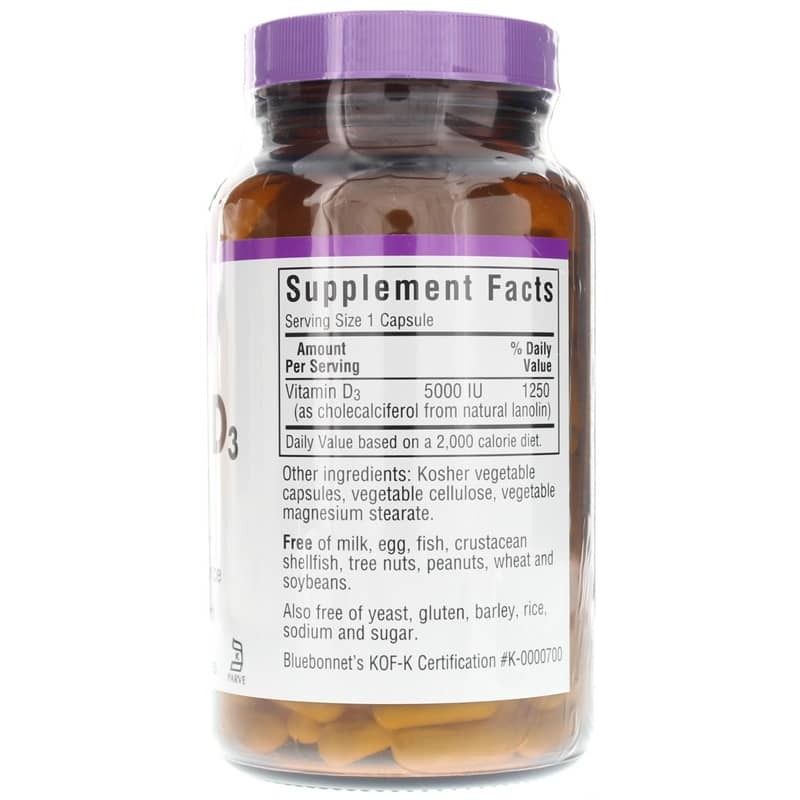 Vitamin D supports strong bones as it helps the body get the the most out of calicum. Vitamin D3 also supports a healthy cardiovascular system and normal cholesterol levels. Emerging research continues to demonstrate how important Vitamin D is to good health and protection from potential issues. It may even help improve your mood. 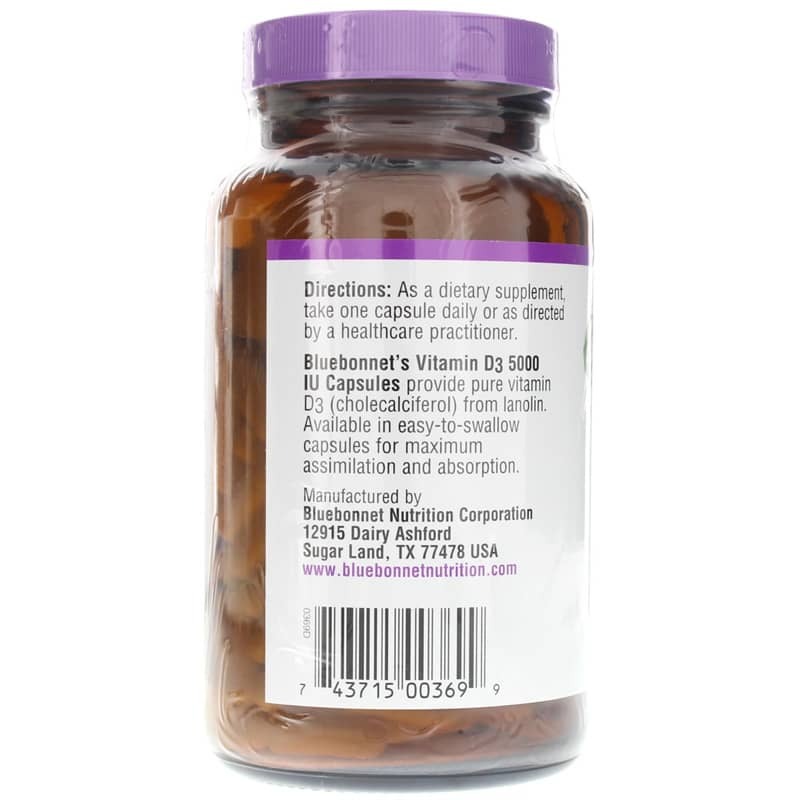 Order Vitamin D3 5000 IU from Bluebonnet today and make sure your body has what is needs to function at its best! The representatives I spoke with to to special order this product were very helpful and made it easy to order. Their friendlyness, knowledge and help is often hard to come by.